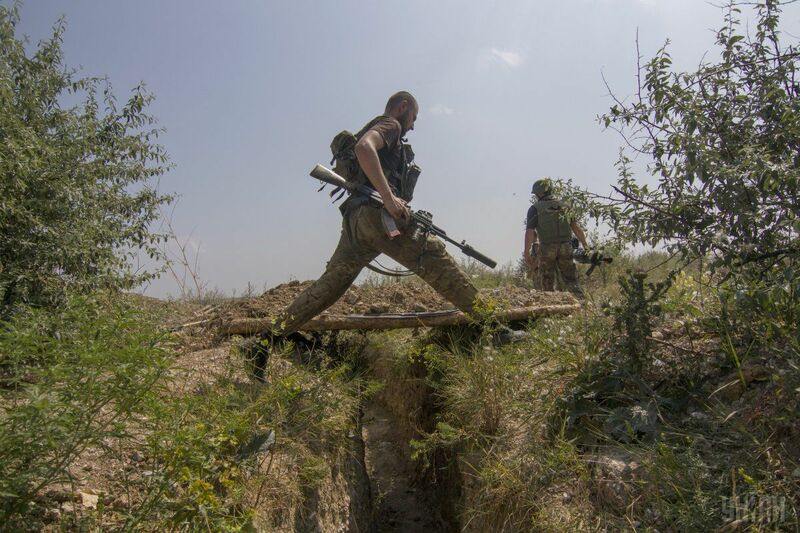 Russia's hybrid military forces attacked Ukrainian army positions in Donbas 18 times in the past 24 hours, with five Ukrainian soldiers reported as wounded in action (WIA), according to the press service of the Anti-Terrorist Operation (ATO) Headquarters. "After 18:00 Kyiv time, the Russian-backed militants opened fire from different directions five times, using 82mm mortars, grenade launchers and small arms to attack the Ukrainian positions near the village of Krymske, which is in the Luhansk sector," the report says. Read alsoDonbas militants getting ready for joint "drills" with Russia – NGOIn the Donetsk sector, the situation remained tense near the town of Avdiyivka, where the occupiers fired grenade launchers and heavy machine guns three times at the Ukrainian defenders in the evening. The ATO forces fired back eight times. In the Mariupol sector, the enemy used grenade launchers to shell the Ukrainian fortified positions near the villages of Pavlopil and Shyrokyne. As UNIAN reported earlier, according to the Main Intelligence Directorate of Ukraine's Defense Ministry, Donbas militants are staging terrorist attacks, aiming to blame the Ukrainian side for disrupting the Minsk accords.